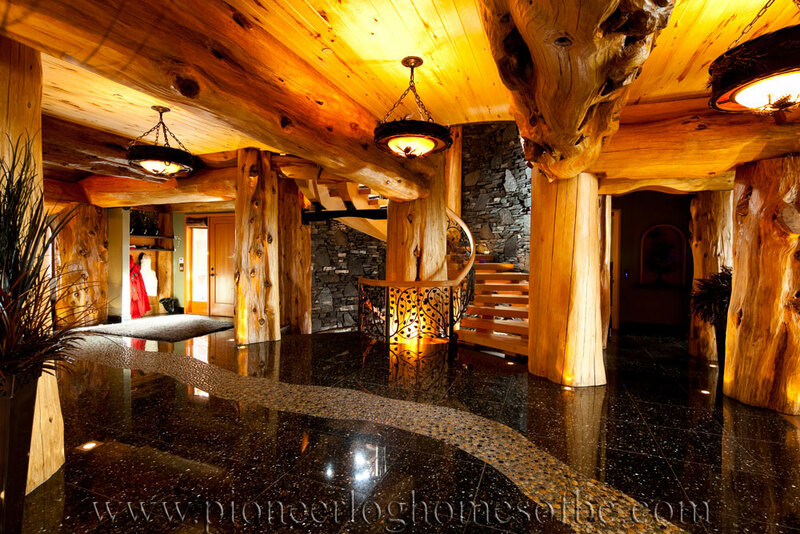 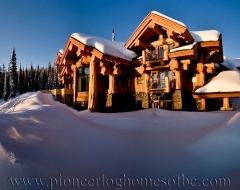 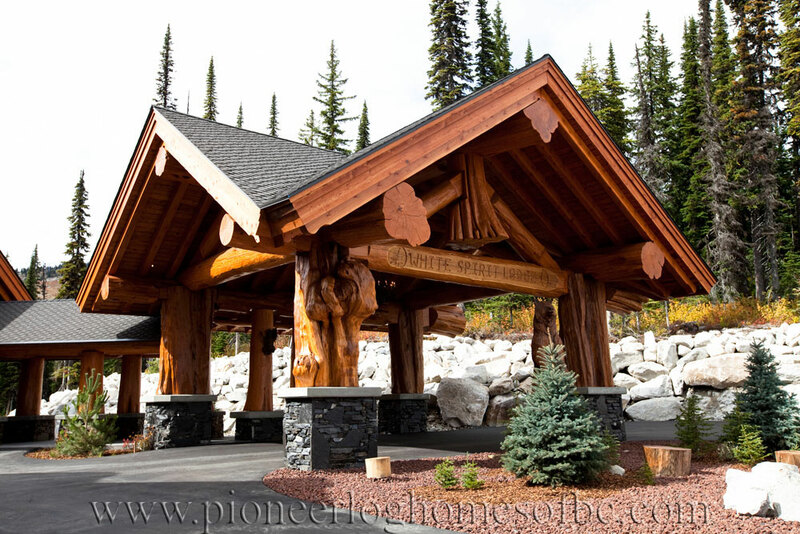 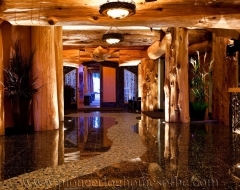 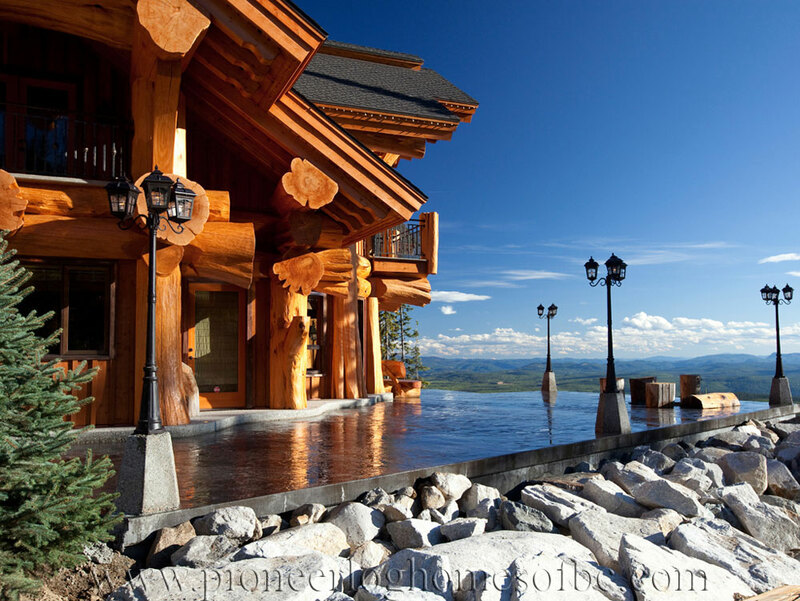 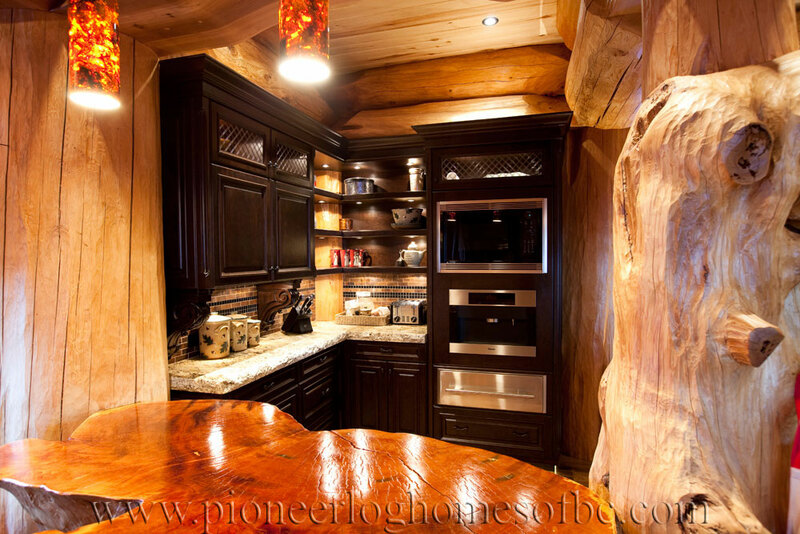 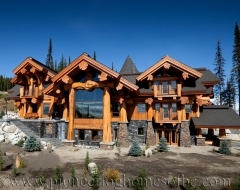 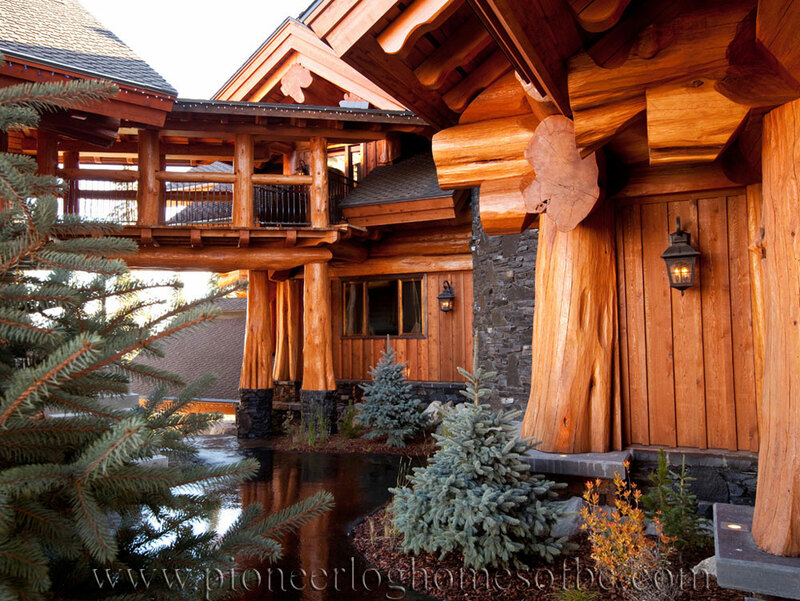 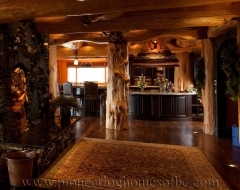 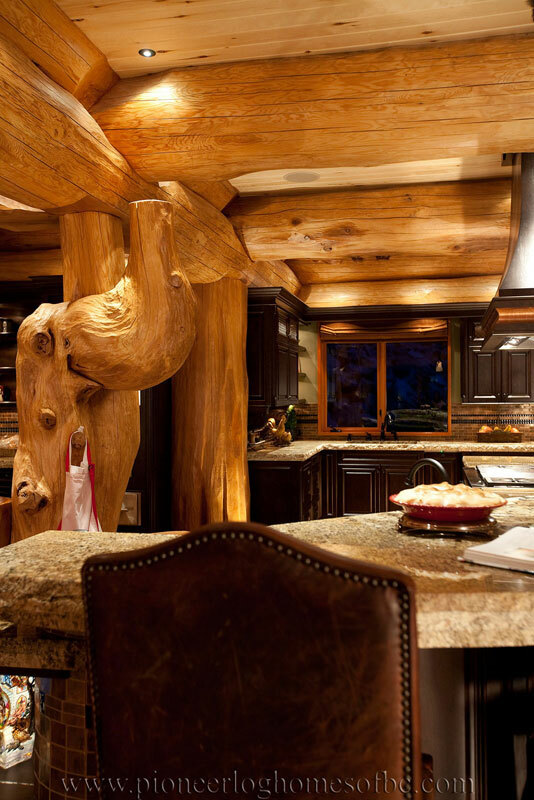 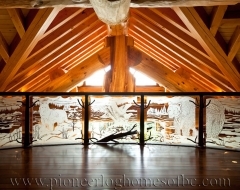 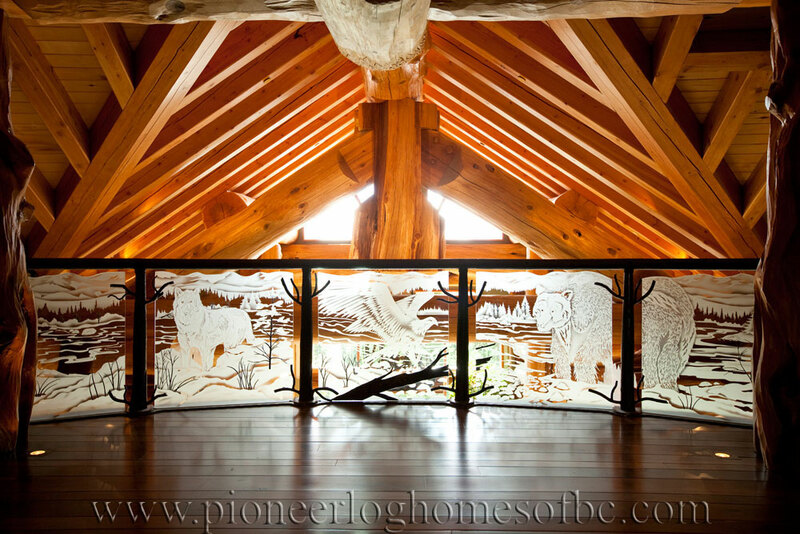 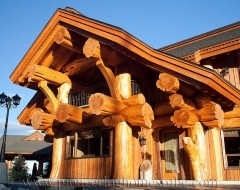 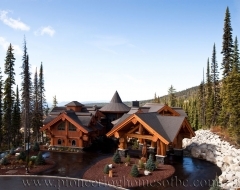 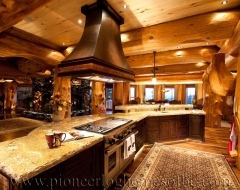 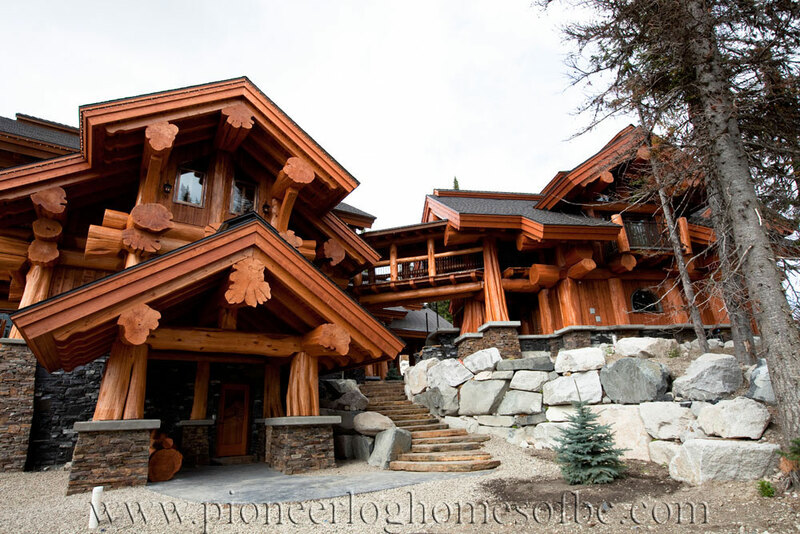 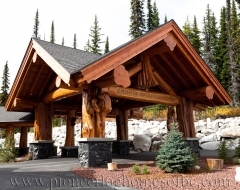 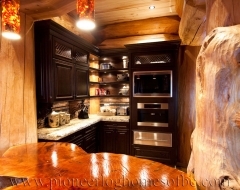 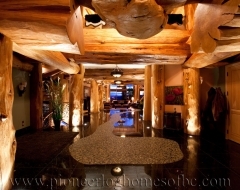 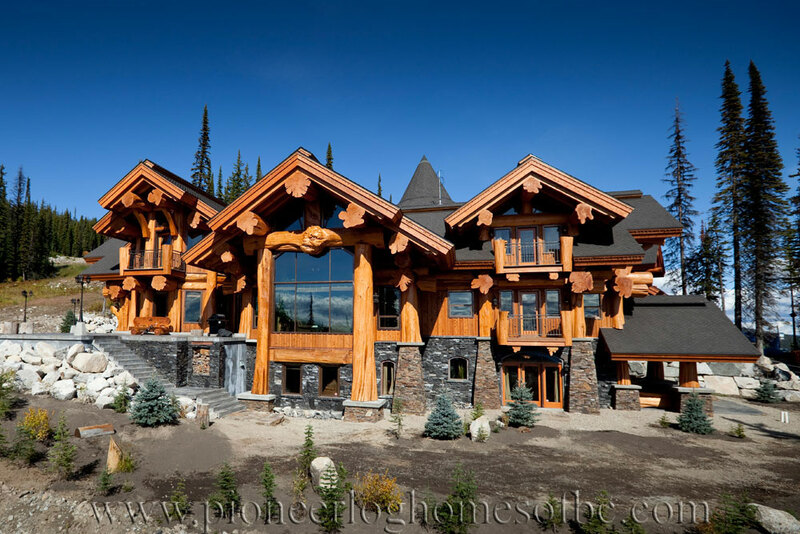 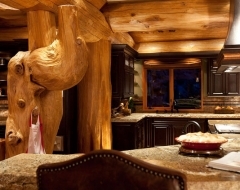 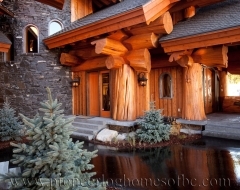 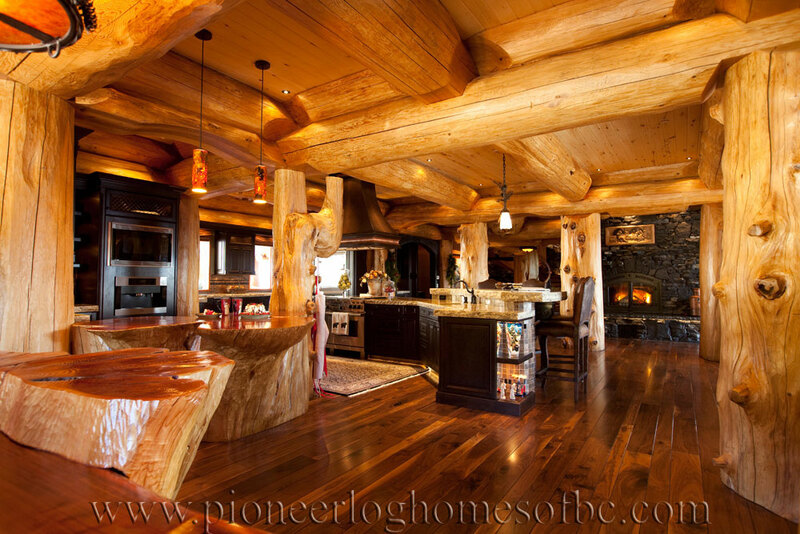 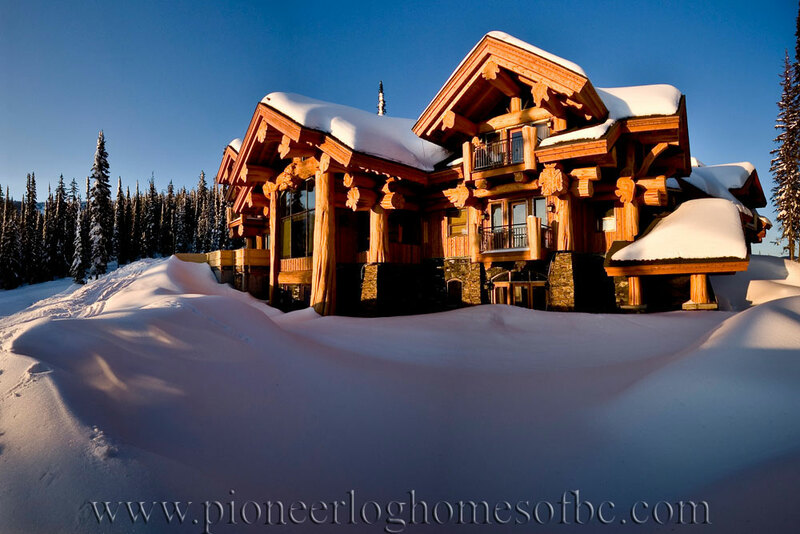 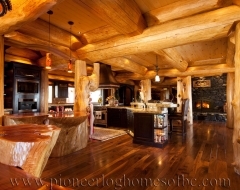 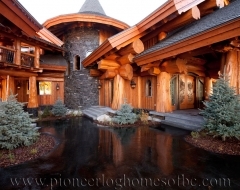 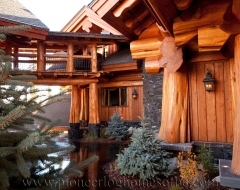 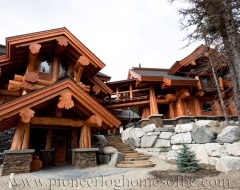 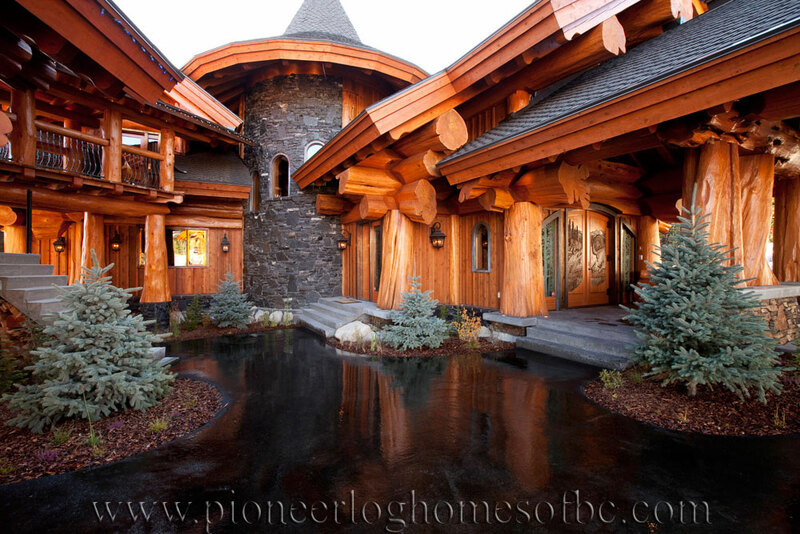 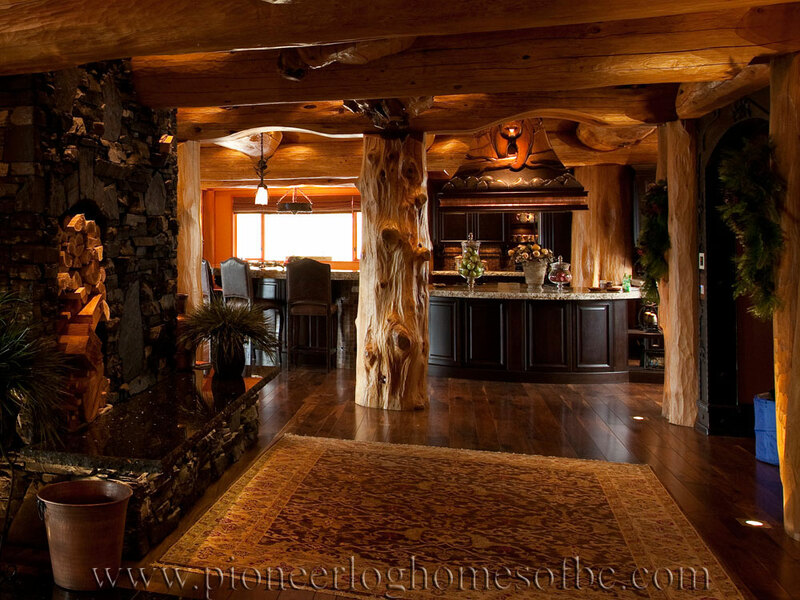 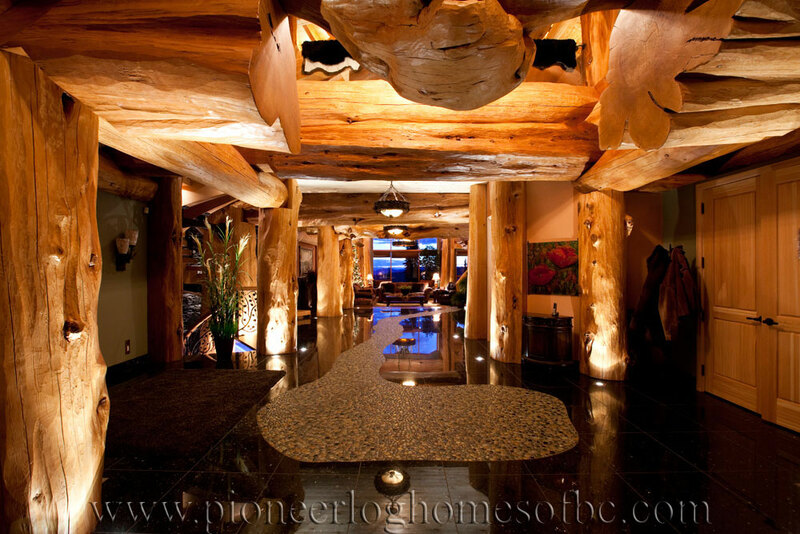 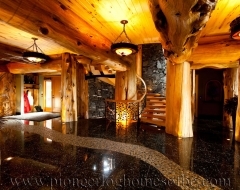 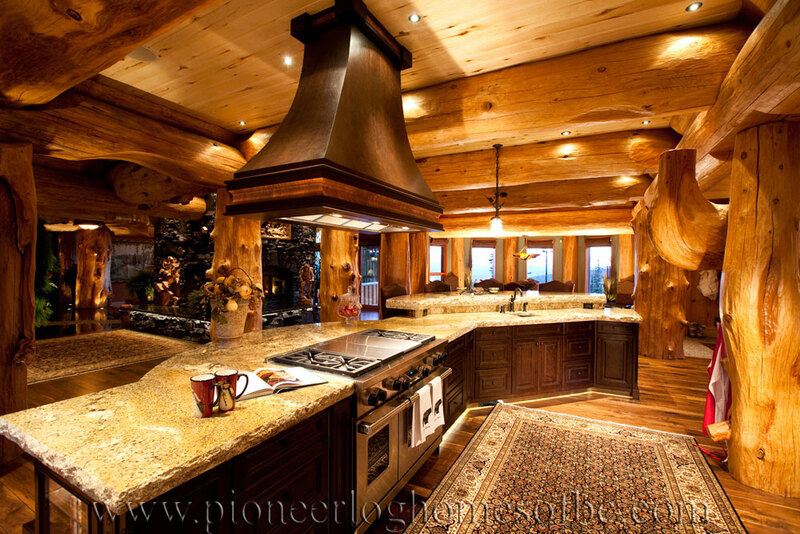 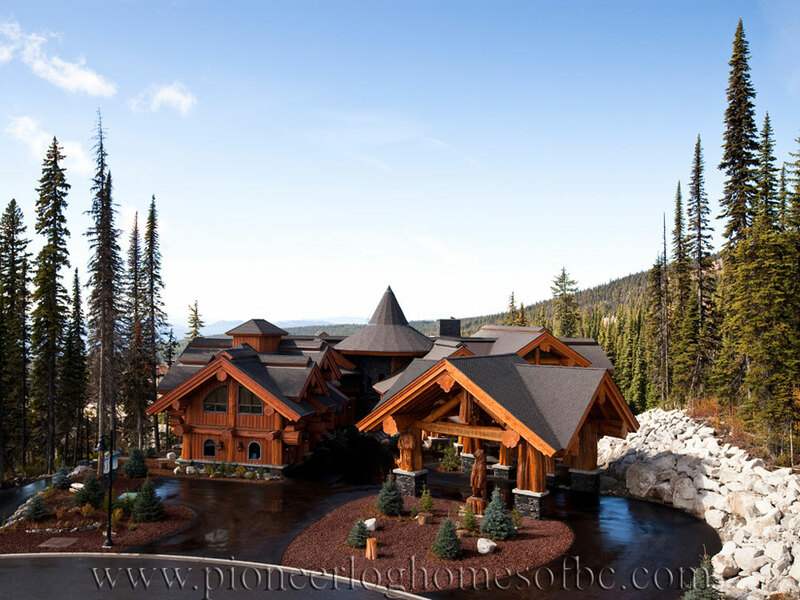 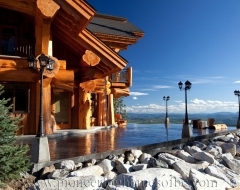 This incredible luxury log home is located at Big White Ski Resort, not far from Kelowna, British Columbia. 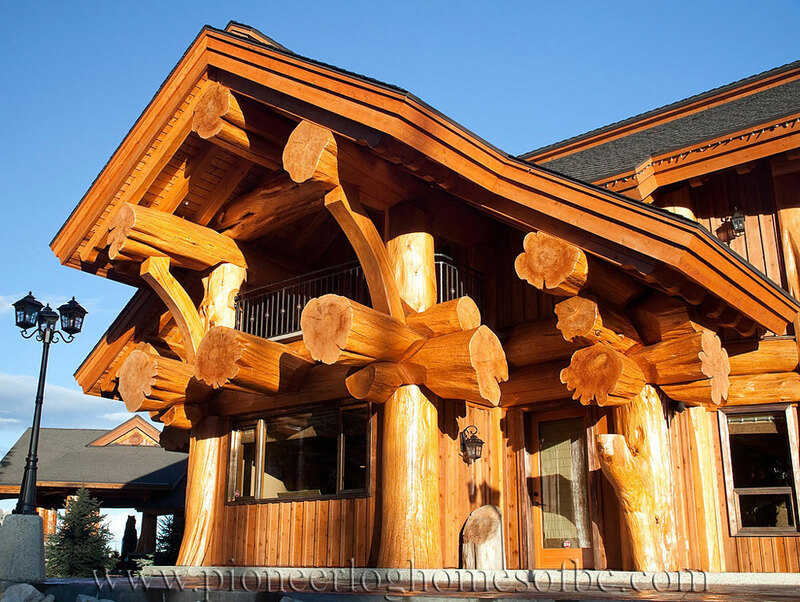 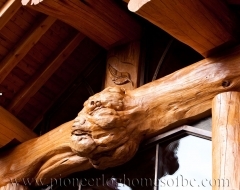 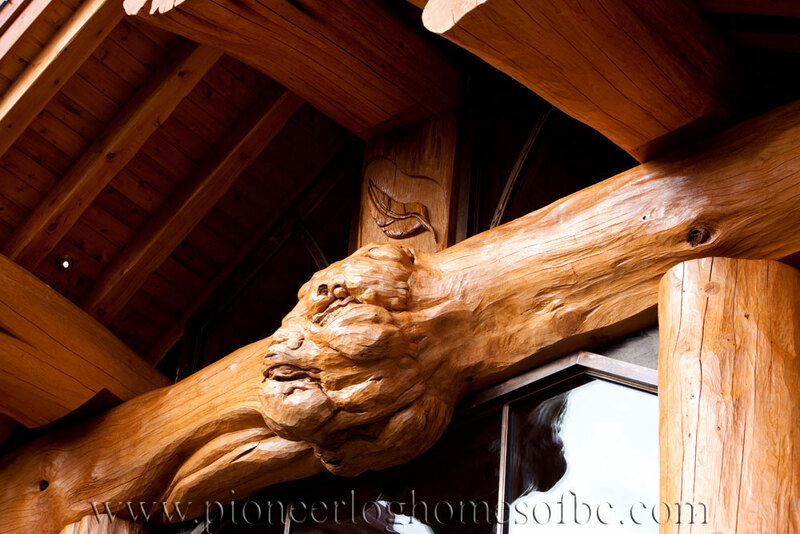 This home features an abundance of character log posts, custom log furniture, including counter tops and log beds, and chainsaw carvings. 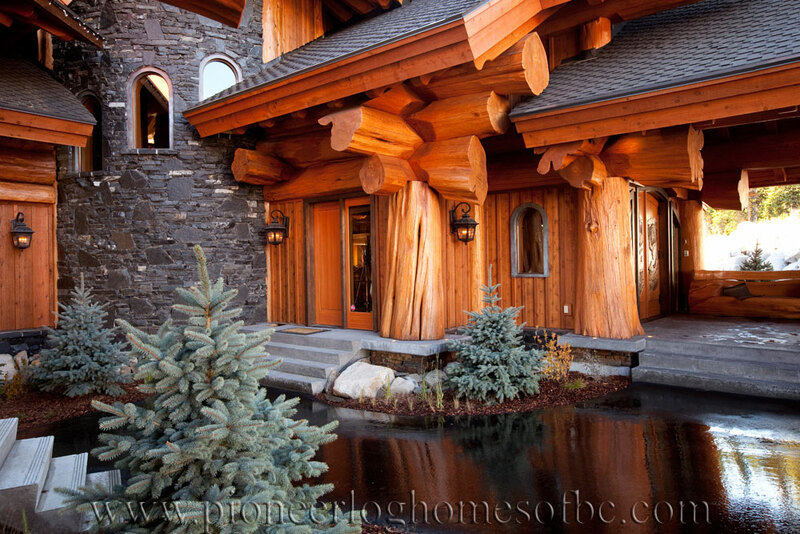 This home has all the bells and whistles, with a breathtaking log mantle and spiral staircase. 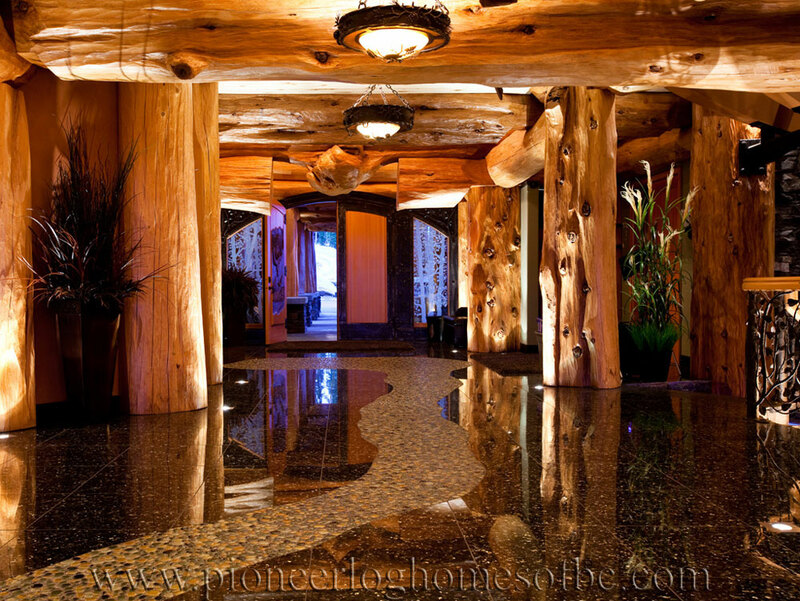 The combination of natural elements, wood, stone and metals, create an unmatched ambiance.